At the White House’s orders, Poland created hysteria linked to possible Russian "aggression" against the Baltic countries. It resulted in additional NATO forces in the area - at least four American armored battalions. To show servility to the White House, Romanian President Klaus Iohannis, asked to violate the Montreux Convention with a permanent presence in the Black sea, a powerful naval group of NATO, composed of combat vessels of non-littoral states (USA, Italy, France, Germany, Britain, Canada). Although in the past two years, regularly, one of the American AEGIS destroyers of Arleigh Burke class (with a displacement of 9,600 t), sailed into the Black Sea under the pretext of exercises by Romanian, Turkish, Bulgarian and Ukrainian navies. According to the Montreux Convention of 1936 on the Bosporus and Dardanelle, warships of non-Black Sea states with a displacement of more than 10,000 tons are banned. If more vessels from the same NATO country enter the Black Sea, their total tonnage should not exceed 45,000 tons and submarines must navigate only on the surface. All these non-coastal vessels can be stationed up to 21 days in the Black Sea. The Russian Black Sea Fleet, the fleet of Black Sea country, comprises a cruiser carrier rocket (Moskva) with a displacement of 500 t (armed with ship coastal rocket P-700 Granit, range 625 km), three frigates (armed with cruise missiles Kalibr, range 1500 km), five attack submarines classic (armed with cruise missiles Kalibr), three anti-submarine corvettes, six corvettes with supersonic P-270 Moskit missiles (range 250 km), six amphibious transport ships, etc. Romania, a Black Sea country, is equipped with two unarmed frigates Type 22, purchased in 2004 in England after they were decommissioned and were about to be melted. Dolphin submarine Kilo class, purchased by Romania in 1985 in the USSR, is no longer operational since 1996. Bulgaria, a Black Sea country, has three frigates of Wielingen class, all unarmed, made in the 70’s and decommissioned by the Belgian Navy - sold in 2004 to Bulgaria. The Romanian President who was unable to arm two Romanian frigate wrecks sees himself leading NATO’s naval expeditionary group in the Black Sea, which consists of a US aircraft carrier, American amphibious assault ship (helicopter carrier), amphibious transport ship (LPD), a landing ship (LSD), two American AEGIS equipped with missiles, four US destroyers AEGIS, four frigates, three attack submarines, and four supply ships, including tankers. Only, the proposal of the President of Romania to nullify ad hoc the Montreux Convention was rejected by Bulgaria - a NATO country bordering the Black Sea. 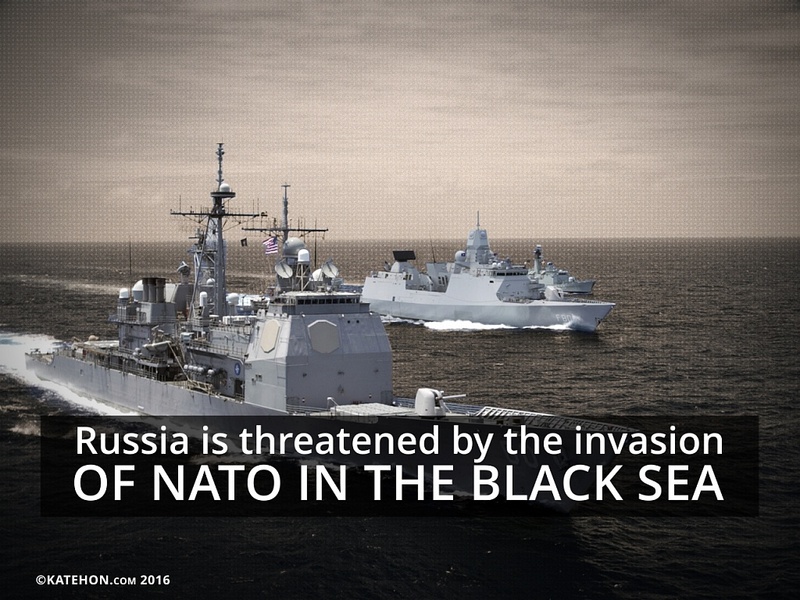 President, Prime Minister and politicians said that the Bulgarian Black Sea should not be turned into a theater of military action, since NATO in the Black Sea fleet has one goal: a war with Russia. This confirms that the hysteria related to an imminent Russian aggression on NATO states is disinformation and that the US is seeking at all costs to invade Russia, using servants of White House such as Klaus Iohannis at the rule of the American colonies in Europe. Bulgaria had the opportunity to take revenge on the political leaders of Romania, who suspended construction of the Koslodui nuclear reactor and Bulgarian and Russian gas pipeline under the Black Sea - South Stream. South Stream would allow Bulgaria to become a gas supplier of Gazprom in Eastern and Central Europe, which would bring annual benefits to the Bulgarian economy, nearly one billion USD. Due to the political leadership of Romania, Bulgaria paid the Russian company Rosatom USD 620 million, the equivalent of work on nuclear reactor Koslodui that remains unfinished. For now, due to Bulgaria, Romania’s backstage games designed for her by NATO have failed.